I ran across this album/musician last year. Yes, it’s been in my queue for a looooong time. I just ran across the draft recently and realized it was time to get a post up on this. 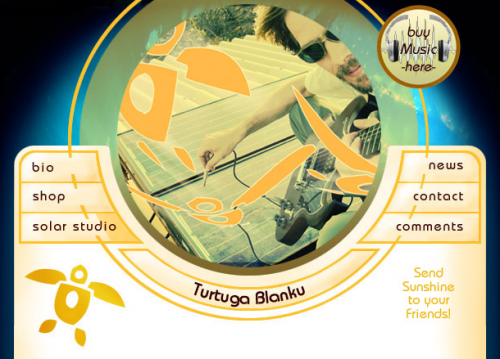 The story is quite simple — basically, Turtuga Blanku makes its/his music in a 100% solar-powered music studio, and the music is often about solar power or other green topics. Double awesome? Yes. The studio is referred to as the “Green Machine” and is powered by 18 solar panels. 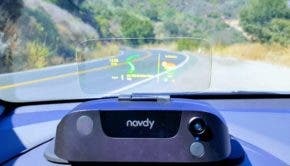 “Converted energy is lead to a charge controller and on to eight deep loading batteries. Those are a bit different from your regular car battery. They are 6 Volts, but connected in parallel as to put out 12 Volts DC. A (3000 Watt) converter further changes this into 110 Volts 60 Hz AC,” the Turtuga Blanku site writes. To learn more about the studio, check out that link above. Other than the tons and tons of other time-sensitive stories to cover every day, what kept me from writing on this for so long is that I wanted to listen to all the music and explore the site a bit first. In the end, I’d say that I really like Turtuga Blanku’s latest single, “No More” — video below (and you can also listen to it and 5 other songs on the Turtuga Blanku homepage — better sound there). I also like the second song, but it took me a few listens to get into it. However, while I’m into the lyrics of the other songs, the music doesn’t quite do it for me. But check the songs out for yourself and see what you think! Read more about the lyrics and music of “No More” on the Turtuga website if you’re interested.